Earn $29.00 in Rewards credit. Click to learn more. 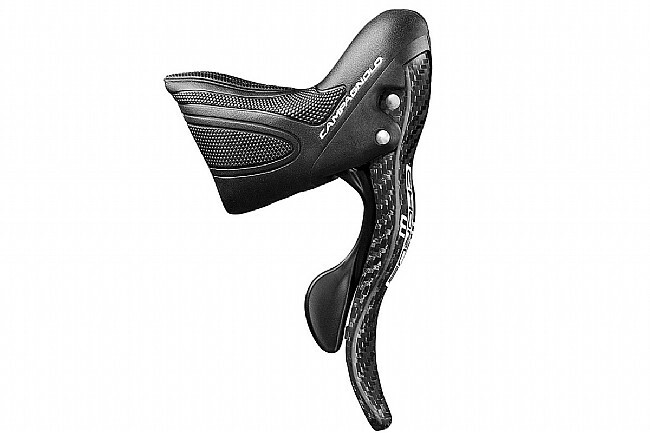 Campagnolo has long been known for their ergonomic shifter shapes which fit naturally into your hands, improving the connection between you and your bike. 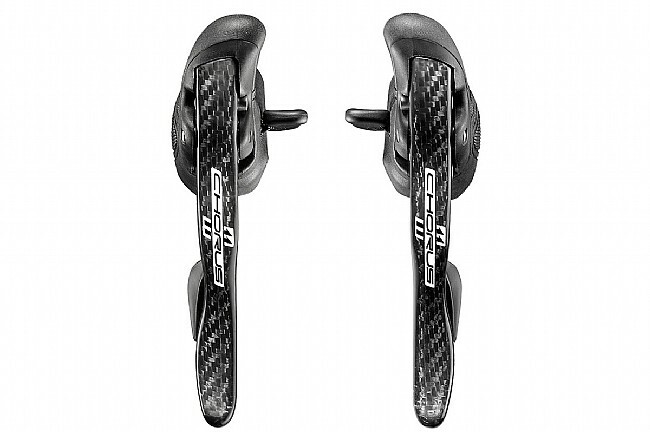 These Chorus 11 Ergopower shifters feature an updated Ergopower™ body that is made from a lighter, stiffer material. 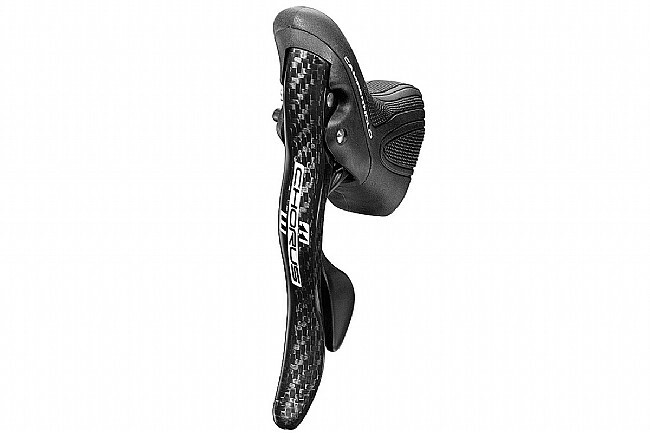 Offering 3 different riding positions, all of which granting you uninhibited access to the dual curve brake levers, the Chorus 11 Ergopower shifters are a must have for all you Campy riders out there. Featuring the Ultra-Shift™ mechanism, the Chorus 11 Ergopower shifters allow you to dump up to 4 gears before a climb, putting you in the perfect combination to spin your way to the top. Once you’ve crested the climb, you can shift up to 5 gears with a single throw of the lever, allowing you to rapidly attack the descent. Also new to the Chorus 11 Ergopower shifters is the Vari-Cushion™ brake hoods. Using variable density natural silicone outfitted with a series of pebble-like nodes and deep grooves, your hands will stay firmly planted to the shifter bodies. The bumps and grooves curve with your first and second fingers, allowing for a secure grip that even the gnarliest of pavé can’t break. Updated Ergopower™ body ensures a firm connection between rider and bicycle. Ultra-shift™ mechanism allows up to 5 upshifts or 3 downshifts with one lever throw. Compatible with 11-speed Campagnolo drivetrains. I have been riding with 9, 10 and 11 speed Campagnolo drivetrains for nearly 20 years so am very familiar and comfortable with their operation and ergonomics. The 11 speed chorus share the features I have always liked (comfortable hoodsbodies, precise repeatable shifting with great tactile feel, as well as independent braking, upshift, and downshift controls). These particular levers are part of upgrade to a 12 year old custom ti bike previously equipped with 10 speed Campagnolo drivetrain that has made it over 60k miles with only a minor refresh ($40 dollars of parts) to the shifters. I can only hope the newer parts provide the same level of durabiliity.